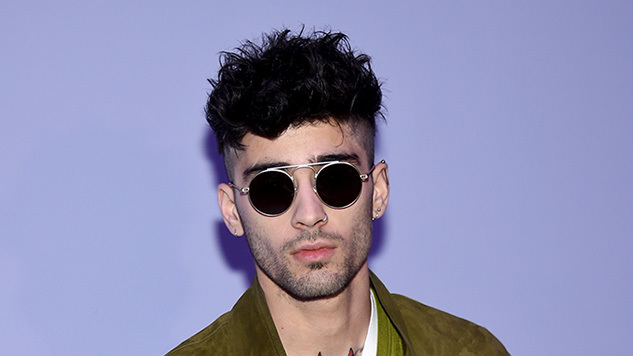 Listen to Zayn Cover Elvis Presley's "Cant' Help Falling In Love"
The hearts of 15-year-olds everywhere were broken when Zayn Malik announced he was leaving One Direction in 2015. The English singer-songwriter put out his debut solo album Mind of Mine the year after to show the world he was a serious musician who could make music outside the realm bubblegum pop. Malik isn’t the first and certainly won’t be the last artist to cover the king’s classic, joining the likes of Twenty One Pilots, Beck, Ingrid Michaelson, Pearl Jam and oh-so-many more who’ve put their twist on the song. The former 1Der gives the song a pop/R&B feel, full of electronic echoing and big build ups of haunting instrumentation in the chorus. The track drums up more excitement for the new album with a simple “Z2 is coming…” posted in the chorus. Check out the cover below.